This customer had an older roof that showed a lot of wear and tear. We replaced the roof and we also added new gutters and vents. The shingles featured here are Certainteed Landmark Pro in Shenandoah, per the resident's choice. All in a day's work for the professionals at Stan's! This chimney needed a facelift. The old structure was rusted out and lost it's luster. Our crew put a new modernized cover and finish on it. I would like an estimate of replacing my roof and gutters. We need to repair some of the wood siding on our home, or replace it depending on cost. This is the upper level of a two-story home. The lover level is brick. Corner area of soffit at the back of the house has fallen and needs repair. Gutter pulling away from house rear right hand side. Need estimate on repair. We have a Mansard Roof that needs to be replaced. I need some downspouts repaired or replaced and one downspout added. I would also like a debris filter added to my downspouts if you do that. Scott Higgins did a GREAT JOB!!!! Junior(crew chief) and his crew did an outstanding job! I was satisfied with the previous work done by Stan's Roofing and Siding so I chose them to complete this project as well. we have done business with your company for over 40 years; and a have often recommended you to friends. 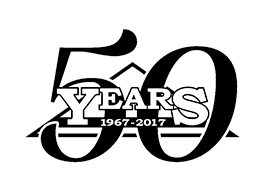 "Personal service and working with a company I know I can..."
Stan's Roofing & Siding has served the residents of Darien since 1967 with a wide range of roofing and siding services. Our employees are professionally trained and capable of installing or repairing your roof or siding quickly and efficiently.